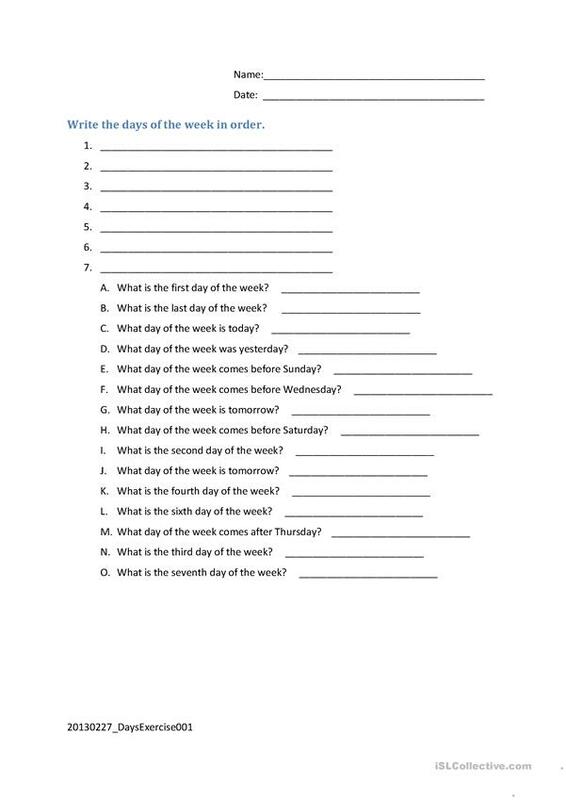 An exercise to allow students to correctly write the days of the week. The above downloadable handout was created for adults at Beginner (pre-A1) level. It is great for revising Nouns in English, and can be used for enhancing your groups' Writing skills. It features the topic and words of Days of the week. It includes the answer key, too. linda951346 is from/lives in United States and has been a member of iSLCollective since 2013-03-06 05:34:33. linda951346 last logged in on 2013-06-12 21:00:50, and has shared 2 resources on iSLCollective so far.